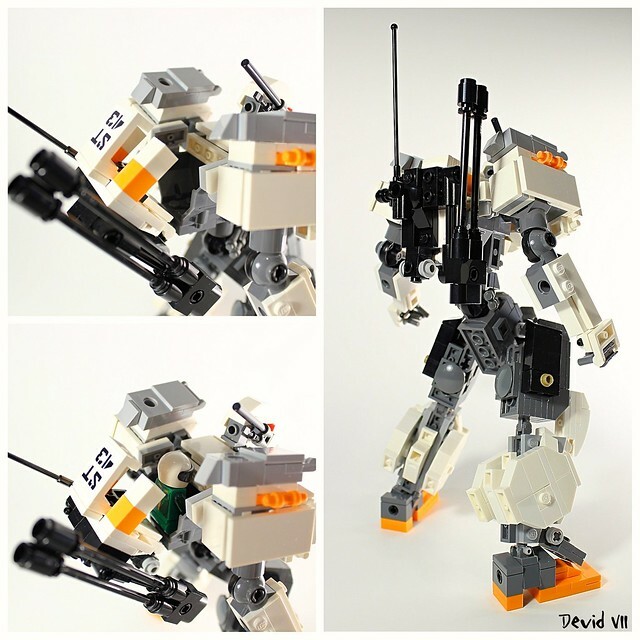 This mech by builder Devid VII has a nimble and gaunt appearance. 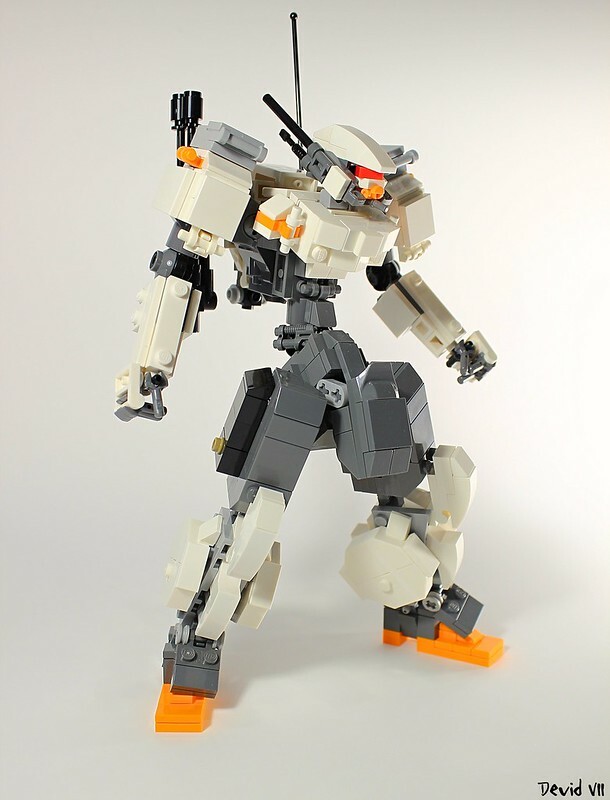 But despite it's wasp waist and overall slender frame, it actually holds a minifig in the back. I will say I'm a bit distracted by the size of his...let's call it a codpiece. Seriously, what's that for?